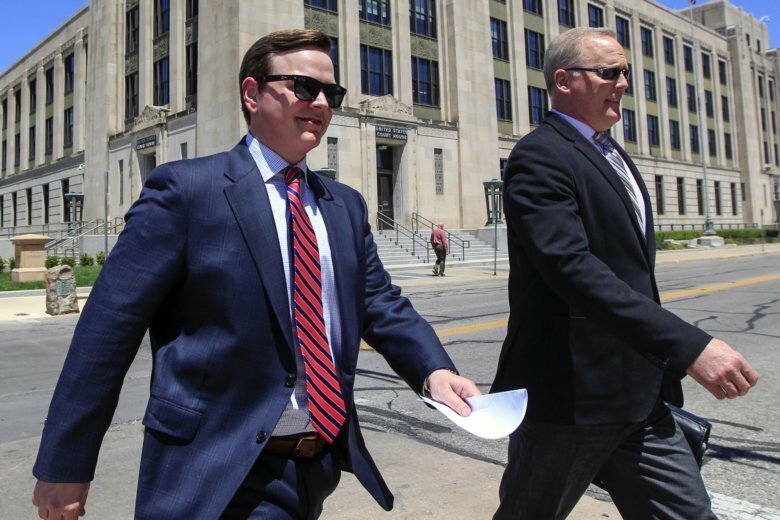 WICHITA, Kan. (AP) — Sedgwick County Commissioner Michael O’Donnell was found not guilty Monday on nearly all charges of taking campaign funds for his personal use. A federal jury acquitted O’Donnell on 21 counts of wire fraud, but deadlocked on two counts of wire fraud and three counts of money laundering related to his state and county campaigns. Prosecutors alleged he took $10,500 of campaign funds to put into his personal checking account or give to friends. U.S. Attorney Stephen McAllister said in a news release that his office will evaluate the results of the trial to determine whether to take the case to trial again on the counts in which the jury did not reach a verdict. “As always, our office takes very seriously the determinations made by a jury of our citizens, and we will consider the jury’s decision here carefully in deciding next steps for our office,” McAllister said. The Wichita Eagle reported O’Donnell and his family cried as the verdicts were read in the courtroom. “I’m obviously very relieved. It feels good to be vindicated,” O’Donnell told reporters as he walked away from the courthouse. One of his defense attorneys, Mark Schoenhofer, called the acquittals a win even though the jurors got stuck on a few counts. O’Donnell took the stand in his own defense to argue the payments were legitimate campaign expenses . In at times combative testimony, he criticized U.S. Justice Department and federal agents for not reaching out to him before the indictment so he could explain the payments. He contended the many of those checks were retainers or bonuses given to staffers who worked on his campaign and helped him with his official government duties. Prosecutors highlighted the testimony of people he had paid who said they either did no work for the campaign or were not actually working at events such as ball games as O’Donnell had claimed. Several people, including then-Gov. Sam Brownback and other state officials, received notification letters in 2017 from the Justice Department telling them that the federal government intercepted phone calls between them and O’Donnell’s phone number. O’Donnell, a conservative known in part for championing tougher rules for welfare recipients, was a political ally of Brownback who won his legislative seat in a 2012 purge of Senate moderates. The Wichita Republican was elected to the Kansas State Senate in 2012 for a term that ended in January 2017. He did not run for re-election and instead ran for and won a term on the Sedgwick County Commission that began in 2017 and is set to expire in 2020.